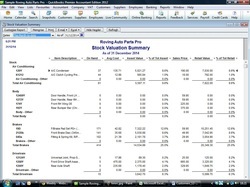 What Can Quickbooks do for me ? 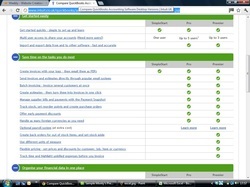 Quickbooks Online or Desktop ? 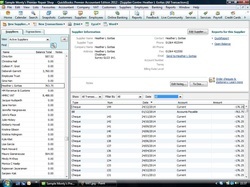 Can I handle my Invoicing and Sales Ledger on Quickbooks ? Yes you can raise Invoices within Quickbooks which are automatically placed on your customers account - you then keep track of them until they are paid. 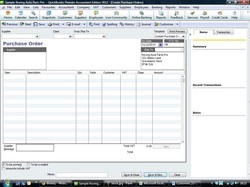 Quickbooks uses items in invoices we will show you how this works so you can get the best of your quickbooks program. Basic Training on Quickbooks. 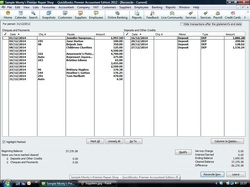 Can I handle my Purchase Ledger on Quickbooks ? Yes There is full Purchase or Supplier Ledger within Quickbooks fully integrated letting you keep track of how much you owe, to whom you owe it and when it is due to be paid. Finally you can produce a remittance advice directly from Quickbooks to send to your supplier. Basic Training on Quickbooks. Can I keep my bank account on Quickbooks and Reconcile my bank accounts ? Yes you can keep all your bank accounts, Petty Cash Accounts, Credit Card accounts on Quickbooks, there is a full reconciliation facility within the program. Quickbooks Training Courses. 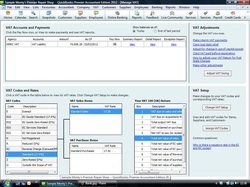 Can I produce my VAT Return on Quickbooks ? Yes Quickbooks will produce your VAT Return for you automatically. It will link directly into HMRC website to file electronically as is now required. 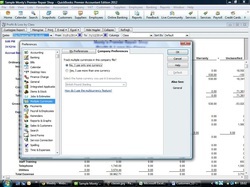 We can show you how to produce your VAT Return in Quickbooks. We can help out with any errors you may have in your program regarding VAT. 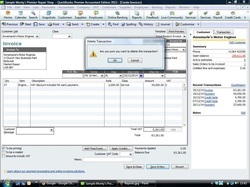 VAT problems within Quickbooks. We cover VAT Returns in Our Basic Quickbooks Training course which is one to one at your premises. Can I keep my Company Accounts on Quickbooks ? Yes absolutely you can, If you are a Sole Trader, Partnership, Limited Company or a PLC. 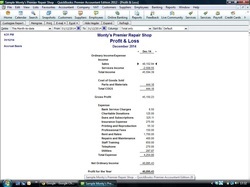 Quickbooks can produce full Profit and Loss and Balance Sheet accounts . It will also produce very detailed Management Accounts . We can show you how to do this in our various Quickbooks Training courses. If you need a hand or someone to do it for you we offer a Quickbooks Accounting and Book-keeping service. We are Qualified Financial Accountants who have spent years dealing with a business or charity just like yours..
Can I run my Payroll on Quickbooks ? 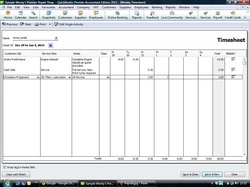 Yes, There is a full payroll program built into Quickbooks. You need to pay a monthly licence fee to Intuit to unlock this facility. This handles Tax, National Insurance, SSP, SMP, Pension deductions, Loans and Advances, attachement of earnings orders. Weekly, Monthly payroll. Our Payroll training course on quickbooks will show you how this all works. P45s, P46 P60 and P35 can all be filed electronically with HMRC from within Quickbooks. If you want someone else to handle payroll for you. We have been running a payroll service for over 25 years and we can help you. Can I keep my Stock control on Quickbooks ? Can I keep my Timesheets on Quickbooks ? 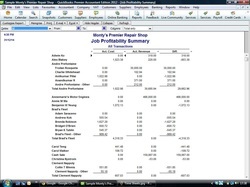 Does Quickbooks have a Job costing system in it ? Yes Quickbooks Pro and Quickbooks Premier can be used in Multiuser mode . You will need to purchase the appropriate number of Quickbooks licences in order for them to be true multi user. Our individual Quickbooks Training will show you how. Does Quickbooks include Sales Estimates and Quotations ? Yes you can rasie Sales estimates and quotations within Quickbooks and then turn them into a Sales Invoice with a couple of clicks making it neccary to re enter the data into Quickbooks. Our One to One Quickbooks training courses can show you how if this area is of interest to you. 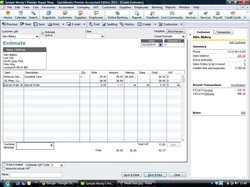 Can you raise Purchase Orders through Quickbooks ? Yes, this option can be turned on and off. If you raise Purchase orders in your business then why not do this within your Quickbooks software to save you precious time and reduce imputing errors. Our Quickbooks training courses will show you how. Yes Multi currency is available within Quickbooks. But once this has been switched on it is not reversable so make absolutely sure you need this facility and know how to use it before turning on Multi currency in Quickbooks. Our Advanced and Bespoke Quickbooks training courses will show you how Quickbooks uses Multi currency. Whats the difference between the various versions of Quickbooks ? 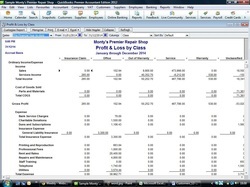 There are currently three versions of Quickbooks, Simplestart, Quickbooks Pro and Quickbooks Premier. This link from Intuitshows you the differences between the various programs. If you are thinking of buying Quickbooks and are not sure which version you need contact us here and we will be pleased to help. Can I download my bank statement into Quickbooks ? 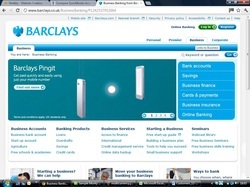 You can but Barclays is currently the only UK Bank to offer this facility. Although Intuit website says HSBC will download Bank statements into Quickbooks. This is not actually the case. No other UK Banks will work. If you bank with Barclays and want to download your bank statements into Quickbooks our Bespoke Training course will show you how at no extra cost. 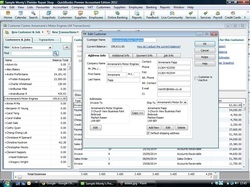 Can Quickbooks produce Accounts by Division Department or Branch ? Yes you certainly can a very comprehensive departmental accounting system can be set up to allow you to produce full Profit and Loss and Balance sheets for each area of your business. Our Basic and Advanced Quickbooks Training Courses cover this. Can I email my Invoices from Quickbooks ? Yes Quickbooks will link into your Outlook system and Quickbooks 2012 will now link into our web based email account such as Hotmail or Google to email invoices as the click of a button. Our Basic Quickbooks training course will show you how. 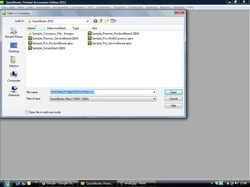 Can I export into Excel from Quickbooks ? 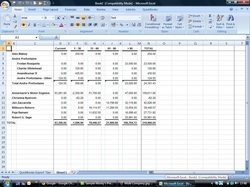 Yes any data and reports within Quickbooks can be exported into Excel or as a CSV file. Our Advanced and Bespoke Quickbooks Training course will show you how. 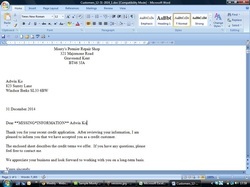 Does Quickbooks link into Word ? Yes absolutely. There is a full mail merge facility within Quickbooks allowing you to produce Customer Letters which can easily be tailored to your individual needs for all or a selection of your customers. Ideal for chasing debts and for your sales needs. Our Quickbooks Advanced and Bespoke Training courses cover this area. Yes it certainly can and the good news is that you do not have to pay more for more than one company. Unlike Sage which charges for each company. 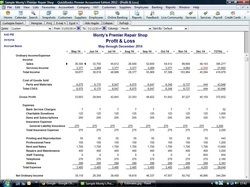 Can I adapt reports and design my own reports in Quickbooks ? 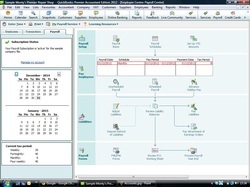 We can show you to produce your own reports within Quickbooks, memorise and memorise them for future use. Our Basic Quickbooks Training covers this. Yes as long as the system has been set up correctly - let us show you how or let us do it for you. 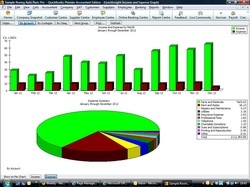 Then you can produce meaning full graphs of your business - make the figures come alive. Our Training on Quickbooks covers this. Can I restrict what certain users can do within Quickbooks ? Yes under User set ups individual users can be modified so that they have access only certain areas within the program. Our Personal one to one training will show you how. Deleting and Amending Transactions within Quickbooks ?